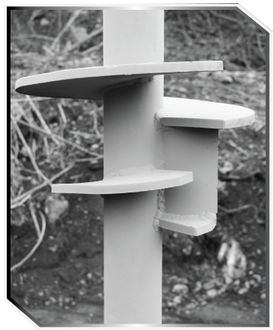 Drive-cast Displacement Pile - Solid Earth Technologies, Inc. The Drivecast pile is a full displacement pile, using robust soil displacement methodology to developed high capacities using a centralized steel shaft surrounded by a grout column. Paddle Extends from Perimeter of RCS to Outer Edge of Lower/Smaller Helix. To learn more about how we can assist your needs, contact us today!